Garnet comes in as wide a variety of sizes and shapes as it does colors. Garnets are a group that includes a number of different minerals, so appearance can vary widely. The first thing a buyer of garnets needs to be aware of is the wide variety of garnet types. At first, the sheer number of garnet varieties can seem bewildering. It helps to think of the different types of garnets in terms of color. Pyrope and almandine range in color from purple to orangy red. Spessartine is found in a variety of orange colors, while andradite comes in yellow and yellowish green. 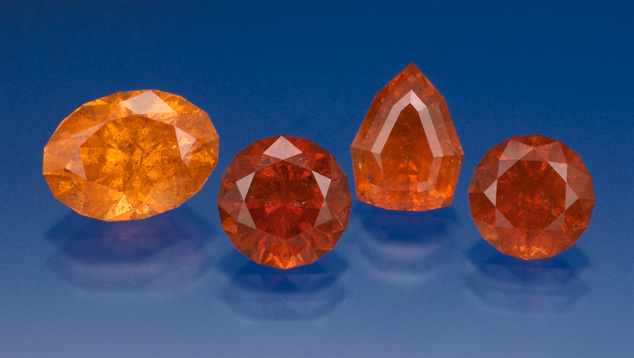 Grossular has perhaps the widest color range of any garnet species, from colorless through yellow to reddish orange and orangy red, to a strong, vibrant green. 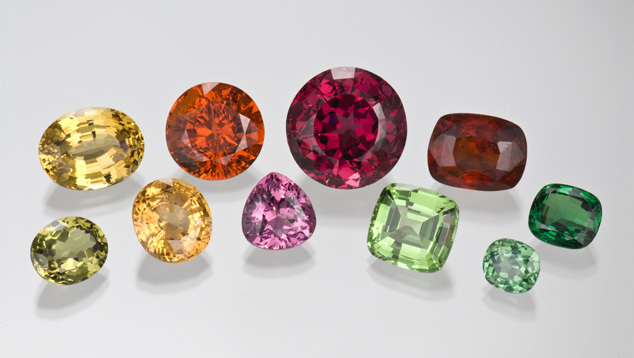 Gemologists and colored stone dealers further subdivide some garnet species into varieties depending on color. For example, demantoid is a brilliant green variety of andradite that’s highly prized by collectors. Both tsavorite and hessonite are varieties of grossular. Tsavorites are green, while hessonite ranges from orange and orangy red to brownish red. 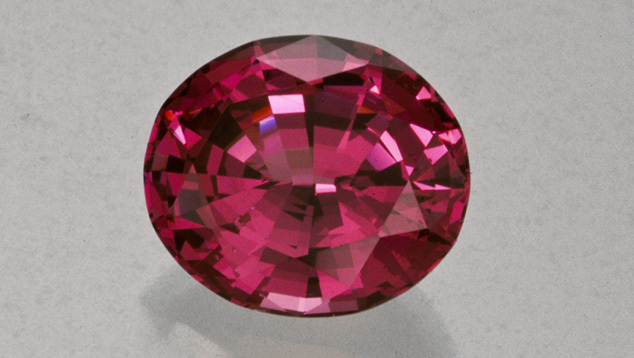 Rhodolite is a purplish red variety. Rhodolite is the purplish variety of pyrope-almandine garnet. It can be spectacular, like this 8.72-carat gem. 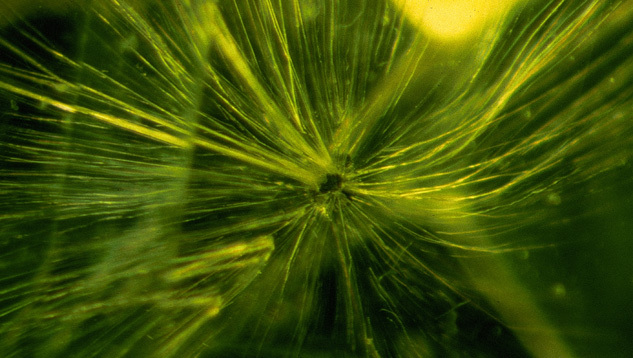 Demantoid might have eye-visible inclusions called horsetails that can raise its value. 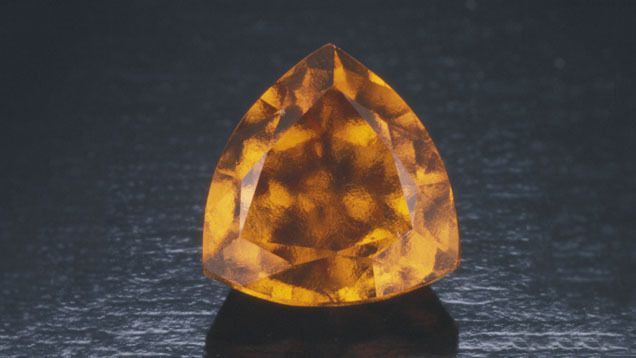 Grossular is typically translucent, making it popular for cabochons, beads, and carvings. 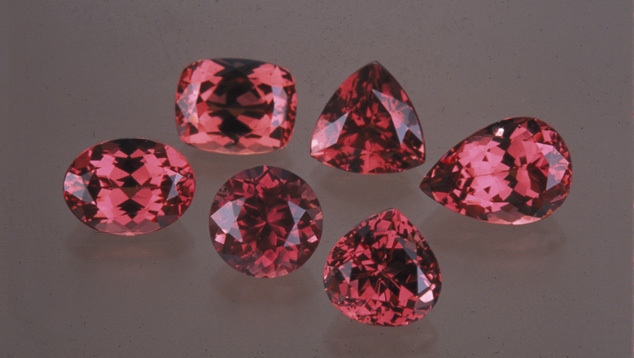 Garnets come in a variety of shapes and cutting styles. 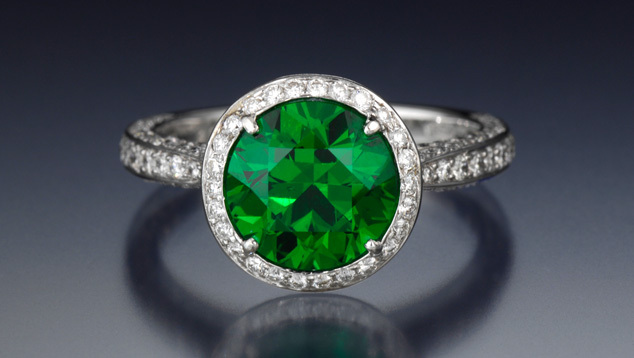 Demantoid is often cut to exact proportions that allow the best possible display of its fire. Garnets are also popular for designer cuts and carvings. Red garnets are classic materials for cutting into cabochons and beads. They are commonly found to have high clarity and to be very transparent. Garnets can be found in all sizes and weights. 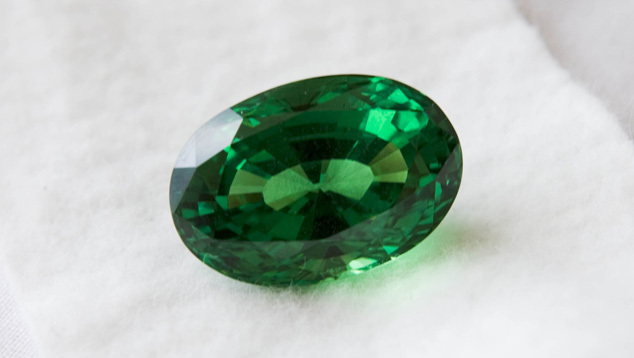 Some garnets, like demantoid and tsavorite, are more commonly found in small sizes, so their value goes up significantly with size. Other garnets, like almandine, are far more common in larger sizes so there’s no dramatic rise in value as size increases. Explore garnet history, research, quality factors, and more in the GIA Gem Encyclopedia.